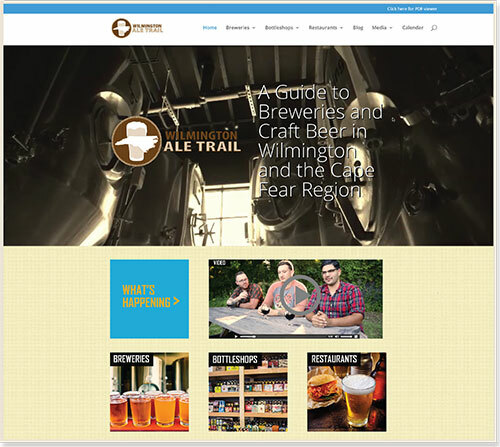 The Wilmington Ale Trail Magazine was created in 2015 and is a free publication printed twice a year. Our Spring/Summer issue is on stands from April through August and our Fall/Winter issue is on stands from September through March. The publication is distributed throughout the Wilmington, NC area. The Spring/Summer 2018 issue will be our second issue and we are excited to see it grow! Our first issue was well received and we look forward to expanding distribution, advertisers, and information in this issue. When the first issue hit the stands, several advertisers told us that people visited their business just because they saw it in the Wilmington Ale Trail Magazine! The mission of the Wilmington Ale Trail Magazine is to promote our local breweries and our coastal craft beer culture. The explosion of breweries, bottle shops, and craft beer bars and restaurants in the Cape Fear Region has been amazing and the continued growth will be a boon to our local economy. The goal of the Wilmington Ale Trail is to promote local breweries first, North Carolina beer second, and all craft beer, generally. Inside the guide, readers will find everything they need to know about our local craft breweries, bottle shops, and exceptional bars/restaurants. 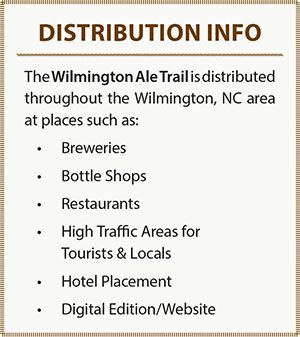 Blend that with the plethora of online resources (such as maps and brewery tour information) they can find at WilmingtonAleTrail.com, and you have just unlocked a door to the latest and greatest the Port City has to offer! Our website is optimized for viewing on all desktop and laptop computers, as well as for all mobile devices. 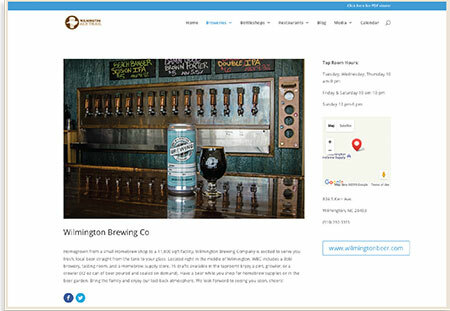 Users can easily find information about the breweries, bottle shops, and craft beer restaurants and bars in the Wilmington, NC area.